Baghdad (AFP) - Iraqi forces evacuated 635 civilians from Ramadi Sunday as they continued to clear the city two weeks after declaring victory against the Islamic State group, security officials said. Federal forces retook the strategic government compound in the centre of the capital of Anbar province late last month but they have yet to assert full control over the city. "Forces from the counter-terrorism service and the Anbar police evacuated 635 civilians," said Major General Sami Kadhem al-Aredhi, a commander of elite troops in Ramadi. He told AFP they had been trapped in areas where IS fighters are still present in Sichariyah and Sufiya, on the eastern outskirts of Ramadi. They were taken to a camp in Habbaniyah, east of Ramadi, to join hundreds of other families displaced from Ramadi by the fighting. Aredhi said his forces and the Anbar police also detained 12 suspected IS members who tried to slip out of Ramadi by blending in with evacuated civilians. "The suspects were moved to a facility to be investigated as we attempt to identify all the people of Ramadi who got involved with those gangs (IS)," Anbar police chief Hadi Irzayij said. One of the areas of Ramadi which Iraqi forces most recently cleared is the sprawling southeastern neighbourhoods of Malaab. "Bomb disposal teams there have already defused more than 250 IEDs (improvised explosive devices," a bomb specialist in the police said. 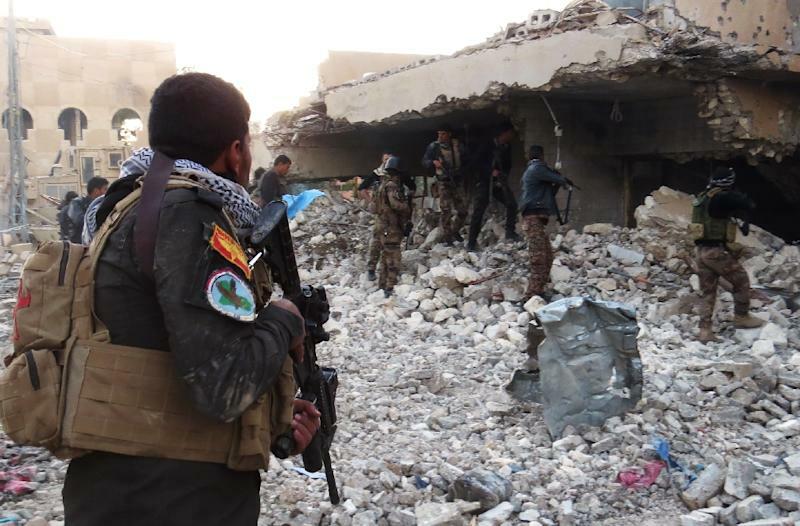 Dozens more were defused or remote-detonated in the Albu Faraj district in northern Ramadi, a colonel in Anbar operations command said. IS fighters had planted thousands of roadside bombs and booby traps across the city, slowing the advance of ground forces vastly outnumbering them and supported by air strikes from the Iraqi air forces and US-led coalition.